The evolution of the Greathouse Wetlands in the West Creek Reservation of Cleveland Metroparks began in 1998 when 72 percent of Parma voters supported Issue 69, preserving 160 acres of the West Creek valley as natural public parkland. Although surrounded by suburban neighborhoods, the presence of two landfills along the creek site had for many years effectively discouraged residential development, ensuring that the natural setting remained relatively undisturbed. In 2002 voter support of Issue 138 expanded the parkland while calling for nature education, protection of water quality, and conservation of wildlife habitat. In 2001, Cuyahoga Community College (Tri-C), the City of Parma, HB Engineering, and West Creek Preservation Committee (now the West Creek Conservancy) formed a collaborative partnership under the enthusiastic leadership of Assistant Professor Terry Greathouse from the Biology Department of Tri-C’s Western Campus. Supported by a host of community organizations and public officials, Professor Greathouse and the partnership members set to work identifying the problems presented by the landfills and formulating a plan to create a natural shallow-water wetland, the West Creek Urban Wetland Project. 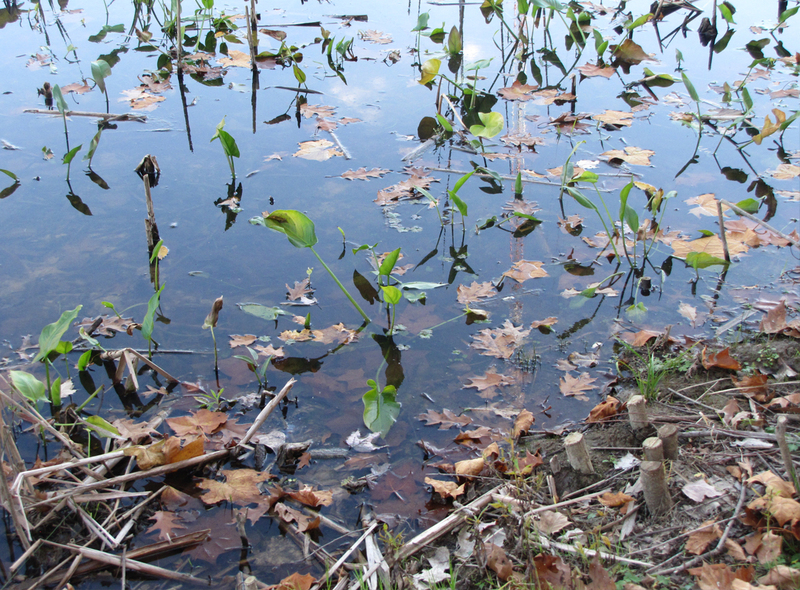 The West Creek Urban Wetland Project was funded by two grants. A $78,000 grant was awarded by the Ohio Lake Erie Commission from its Lake Erie Protection Fund to protect and improve the waters of Lake Erie. A $10,000 grant was received from the National Fish and Wildlife Foundation to create and protect diverse wildlife habitat in an urban environment. The Greathouse Wetlands became the centerpiece of the West Creek Urban Wetland Project. Directly overseen by Professor Greathouse, wetland construction began at the 2 acre West Creek site in March 2002, with the City of Parma supplying the heavy equipment and manpower. Debris was removed, the land was graded, and water was redirected creating three interconnected shallow ponds. In August and September 2002, over 10,000 native wetland plants were installed by community volunteers and Tri-C students. Soon frogs, turtles, ducks, dragonflies, damselflies, birds and other wildlife appeared. Monitored continuously from 2002 to 2005, the data demonstrated that the Greathouse Wetlands successfully met the desired goals. The partnership, in concert with local citizen volunteers and students, had reversed the ongoing environmental degradation in the West Creek valley by creating wetlands from wasteland to act as a natural water purification system. Nature will take years to transform created wetlands into a more natural state of filtration, provided humans do not interfere. But sometimes they do. Whereas many dedicated citizens came together to construct a wetland in one of the largest urban areas in the country, it likely took only one irresponsible individual to create a serious, but temporary, setback. An invasive aquatic plant from Brazil, Hydrilla, has been discovered by Metroparks naturalists in the wetlands. Introduction of this popular aquarium plant may have resulted from someone simply emptying a home aquarium into the wetlands. Unfortunately, when this fast-growing invasive plant becomes established, Hydrilla forms dense canopies on the surface of ponds and streams that can shade out and eventually eliminate native vegetation and fish populations. People who release unwanted exotic plants and pets into local natural habitats pose a real threat to our native plants and animals, and create expensive problems. This is the first finding of Hydrilla in northern Ohio. It has the potential of spreading throughout northern Ohio and disrupting the ecology of our creeks, rivers, lakes and wetlands. To contain and destroy this invasive plant, the Metroparks naturalists have drained and sprayed the Greathouse Wetlands with an herbicide. This action has severely altered the wetlands, but it is a necessary action that will be continued for another 3 or more years before ecological rehabilitation can be initiated. Meanwhile, the wetlands will not appear as picturesque as many would prefer. West Creek Conservancy, Cleveland Metroparks, and Northeast Ohio Regional Sewer District ask for your patience and understanding as this problem is being addressed. Our thanks to Professor Greathouse and the many community volunteers and organizations that have made the Greathouse Wetlands a unique educational component of the Cleveland Metroparks West Creek Reservation.